Portlanders rejoice! 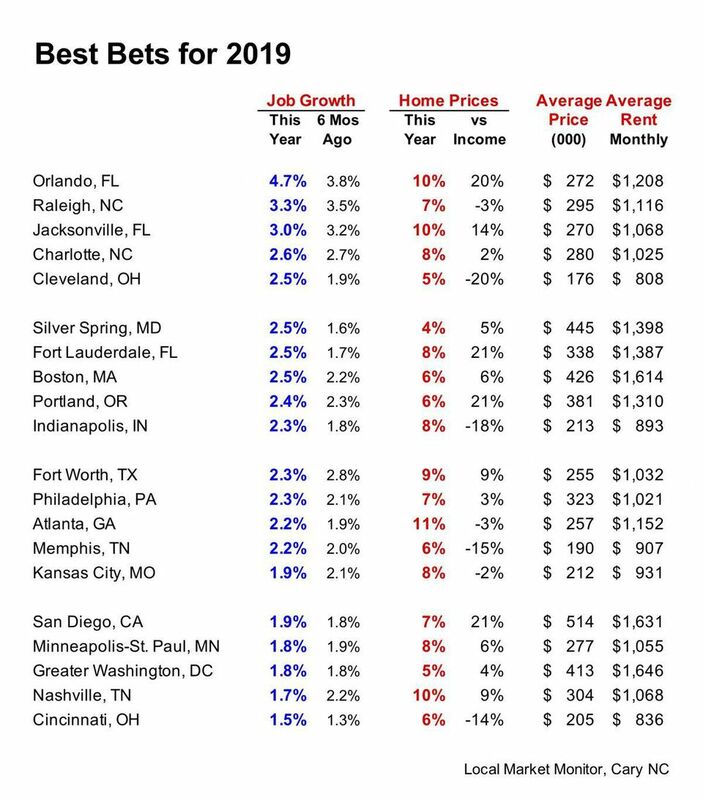 Forbes released its Real Estate Investment Recommendations for 2019, and Portland made it on the list, coming in at number 9! Some of the key factors that propelled each of these markets onto the desirable list include the performance of the local economy, job growth at or above the national average of 1.5% in the past year, steady housing demand, and home prices that increased between 5-10% in the last year. This is impressive, since, according to Forbes,”The economy has been adding jobs at the lowest rate in eight years.” In fact, not only have jobs been added at a slower rate, but the additions have been on the modest side of the payscale, while the average worker’s pay hasn’t increased in the past decade. Forbes predicts that this will mean demand for single family rentals and apartments will remain steady, that rents won’t be on the higher end, but modest instead, just as the jobs being added. Taking this into consideration, it is recommended that if you are considering in investing in real estate in 2019 that you avoid overpriced markets, and search for a home that falls in the Targeted Rent Range, a range that is 25% or under the average rent. Location should also be considered, especially locations near government and other important buildings, such as colleges or hospitals, along with transportation routes. If you were searching for a home to invest in, or, if on the other side, to rent, what factors would be the most important to you?